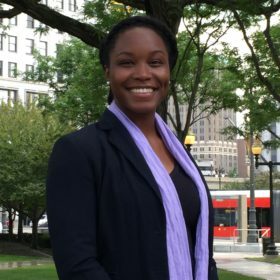 Danielle Bennett is an Entrepreneur Selection and Growth Associate at Endeavor Detroit. She was born in Atlanta, but lived in New York prior to joining Endeavor. Danielle empowers Michigan’s entrepreneurial ecosystem, by leading entrepreneurs through Endeavor’s selection process and into Endeavor’s global network of mentors, advisors and resources. While at school in the Stern School of Business at New York University she worked in a variety of industries with a strong interest in studying how companies worked relative to their economies. She worked at The Daily Show with Trevor Noah, charity: water, the asset management firm BlackRock and at a variety of fintech and edtech startups. She hopes her experience working and living in London, Shanghai, Atlanta, and New York will provide a unique perspective to Endeavor Detroit’s portfolio. Danielle is also a 2018 Venture for America Fellow. When she is not supporting high-impact entrepreneurs, you can probably find her doing long form improv.